Can you please launch the software and open that particular project. 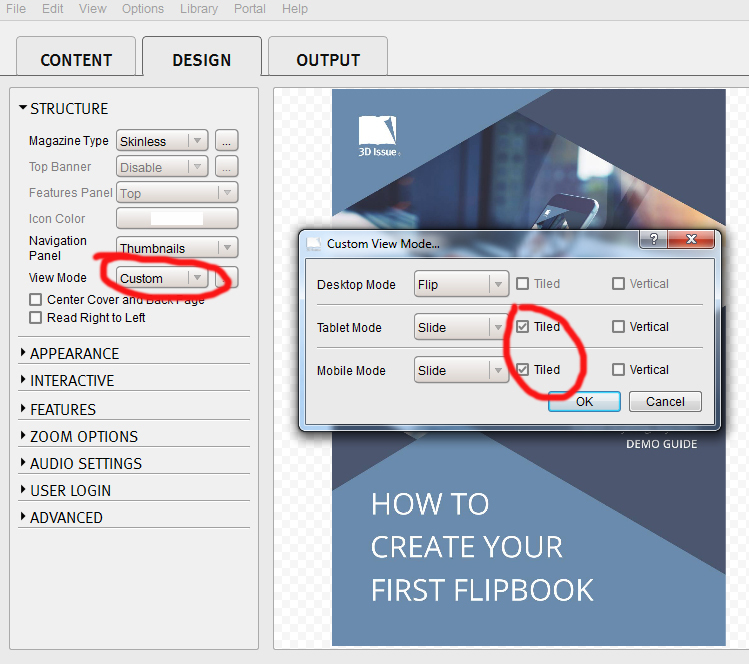 Once you are in the software, can you please navigate to the Design tab and click Structure and on the View Mode, click the drop down menu and choose Custom. A popup will appear. Please ensure that Tablet and Mobile are set to Tiled. Once this is done, please click OK and then click Build to upload your publication online again. If you have any other queries, please let us know and we will gladly assist. Thank you. I have purchased the software but it is still saying I have a trial version. Why is this?